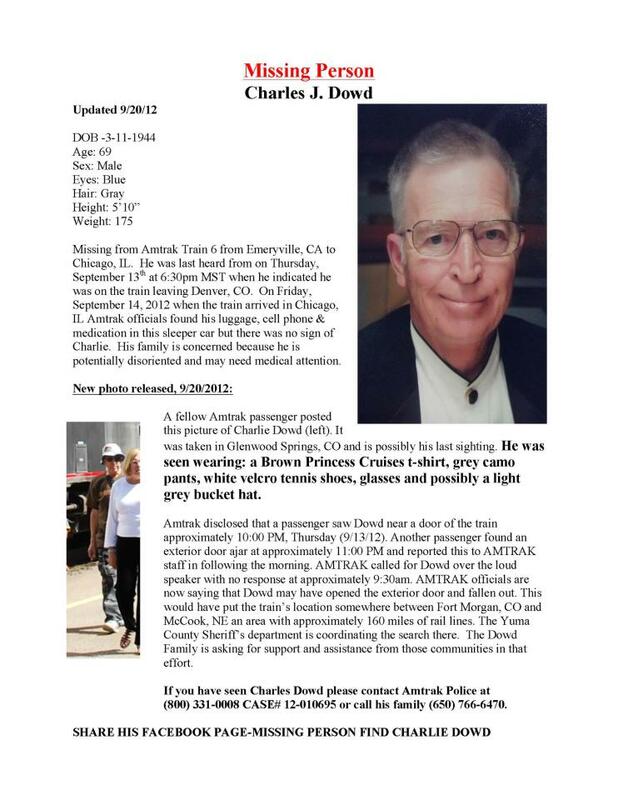 Retired San Francisco firefighter, Charlie Dowd is still missing. Dowd was on a travel adventure from the SF Bay Area to Montreal to visit family. He did get off the train for smoke breaks and a fellow Amtrak passenger caught a image of Charlie (below). He was wearing a Brown Princess Cruises Brisbane Australia t-shirt, grey camouflage cargo pants and white sneakers with Velcro straps, glasses and a grey bucket hat. This was the last known contact with Charlie. Charlie may be disoriented as his medications, along with luggage and cell phone arrived in Chicago already on 9/14 without him. The medications he was suppose to be taking could cause him to be disoriented if not taken. 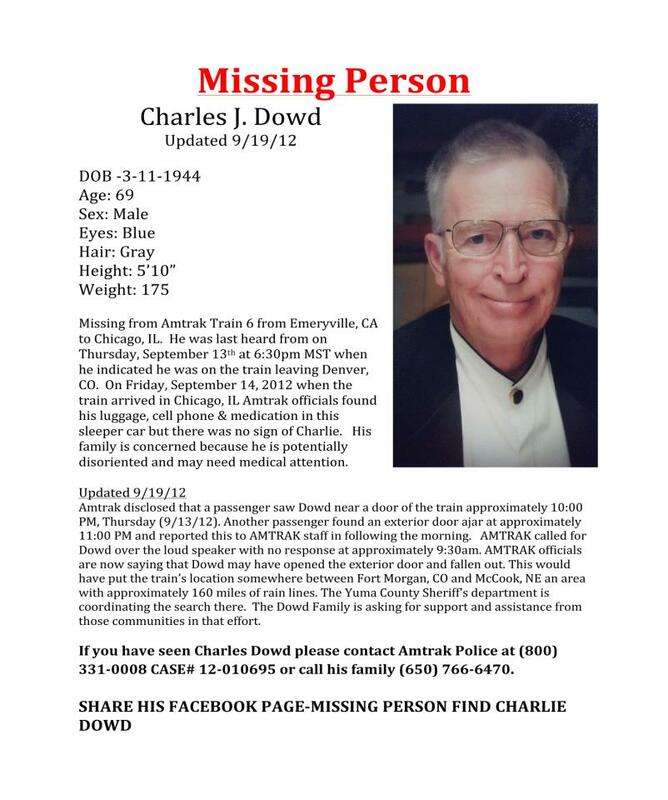 The family has been out looking for Charlie along the Amtrak route he would have taken. Their current focus is everywhere between Fort Morgan, Colorado and McCook, Nebraska. 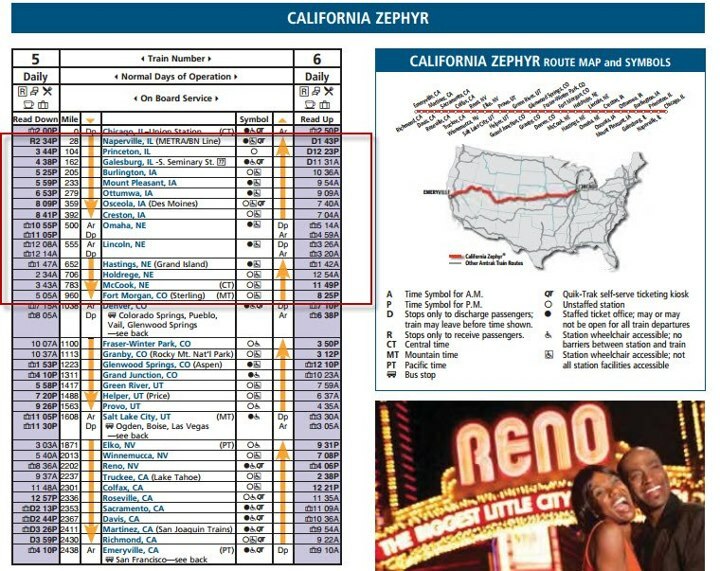 Dowd was on the California Zephyr Train #6 from Emeryville, CA to Chicago. Pickups happened in Nevada, Utah, Colorado, and Nebraska. Below is the schedule of stops. This entry was posted in Adventure, Travel and tagged amtrak, California, charlie dowd, Chicago, colorado, emeryville, ft. morgan, illinois, Lincoln, mccook, Nebraska, Nevada, omaha, San Francisco, train 6, utah. Bookmark the permalink.